Common techniques used in Heirloom sewing are attaching lace to lace and lace to fabric. 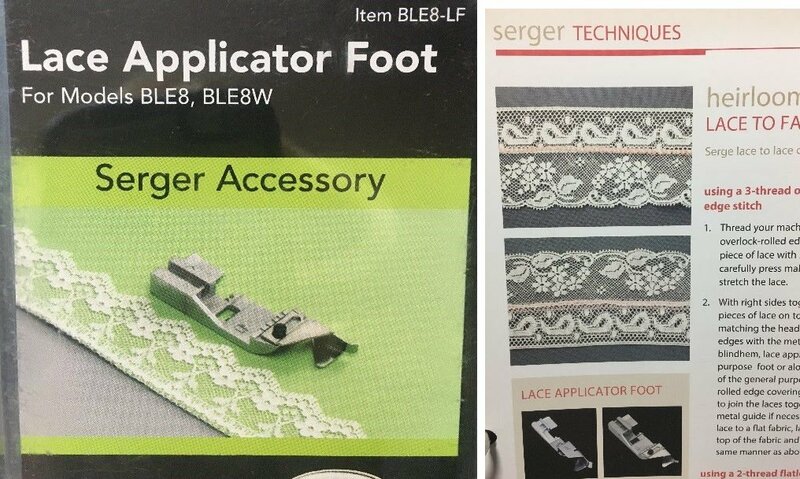 Ms. Marina takes you through a step by step process of attaching lace with a serger set for a mini hem stitch. Plus, as a bonus she will show you how to make a beautiful French seam made using an Heirloom technique, which is widely used in garments. We are not going to make any finished projects but we will create good samples for future use. You will leave this class armed with great techniques and ready to start your own project! Sewing Notions including four spools of thread, fabric scissors, some scrap pieces of fabric and lace to practice on.